The Tumbler Ridge Museum is a must see for anyone coming into the community. 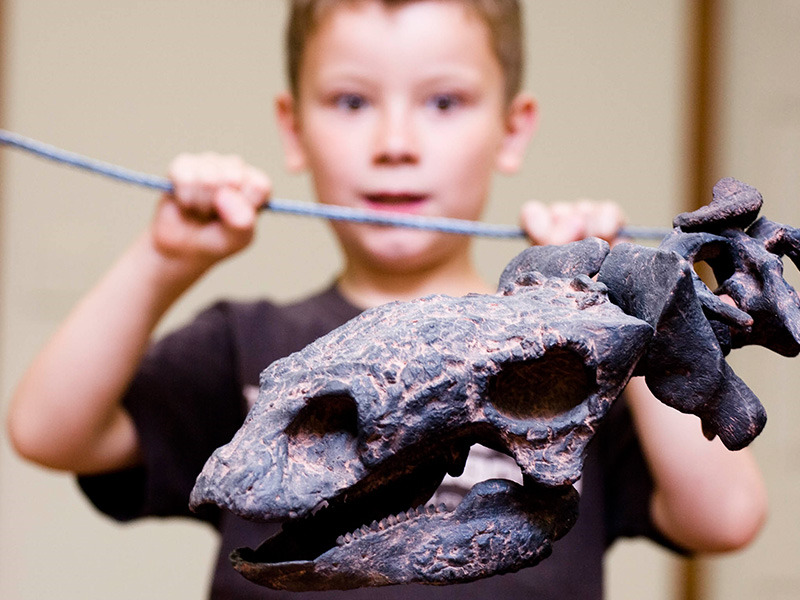 The first dinosaur footprint in Tumbler Ridge was discovered by a local 9 year old boy at Flatbed Creek. After showing his father, who didn’t believe what he was looking at was a dinosaur foot print, young Daniel Helm held true to his belief. After much lobbying to his father a paleontologist was brought into evaluate the discovery. These footprints have grown into a thriving museum and on a more recent excursion the discovery of T-Rex trackways proving that these formidable creatures hunted in packs. Because one wasn’t scary enough! Wheelchair accessible, heated, public restrooms. If you or your children would like a taste of what it’s like to be a real paleontologist inquire about our dinosaur camps. The Tumbler Ridge Museum is located next to a brand new playground installed in 2014.